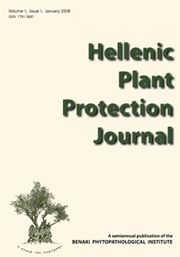 Under the terms of its Foundation Act (Law 4160/1929 - FΕΚ 198 Α) BPI’s stated aim was to carry out “research into phytopathological issues concerning our country, and to implement measures and solutions to protect agricultural production from plant diseases.” Now, as then, the research activities of BPI are primarily defined by the needs and demands of Greek agriculture. Nowadays, the Institute addresses itself across the whole scientific field of plant protection and plant health. We investigate and propose solutions that relate to safety and quality in primary production, while striving to minimize impacts on the environment and human health. We continue to respond directly to the evolving needs of Greek agriculture, working closely with the Ministry of Rural Development and Food to address these challenges, and in helping the Ministry fulfill its obligations towards the European Union. Our main objective at BPI remains the integrated management of agricultural production, yielding an output that is both of high-quality and competitive. We believe that this can come only through the use of appropriate methods to ensure the safety of the environment, the safety of consumers, and the safety of those working in the fields and the factories to bring these agricultural products to our homes and businesses.